Pattern turns more active this weekend, beyond. ROANOKE, Va. - 2019 hasn't been quite as wet as many might imagine, with places like Roanoke, Blacksburg and Lynchburg at a slight deficit for the year so far. That should change for us by this weekend and next week too. Simply put, the storm track in the southern U.S. is picking up steam. 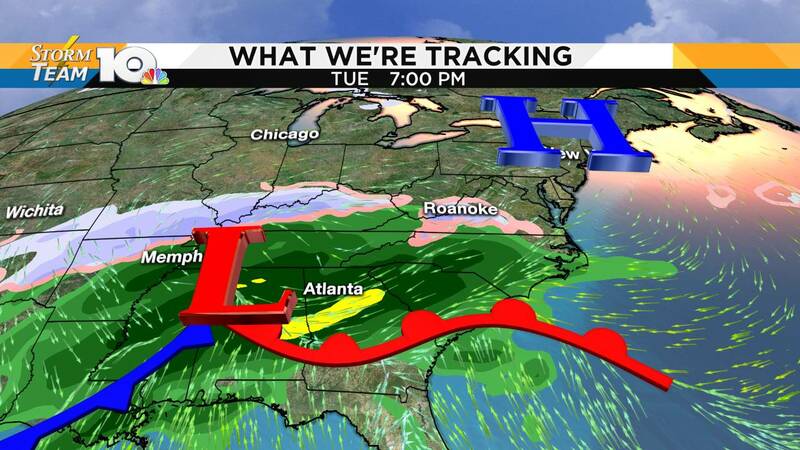 This means more storm systems, generating more precipitation over the Southeast and Mid-Atlantic. 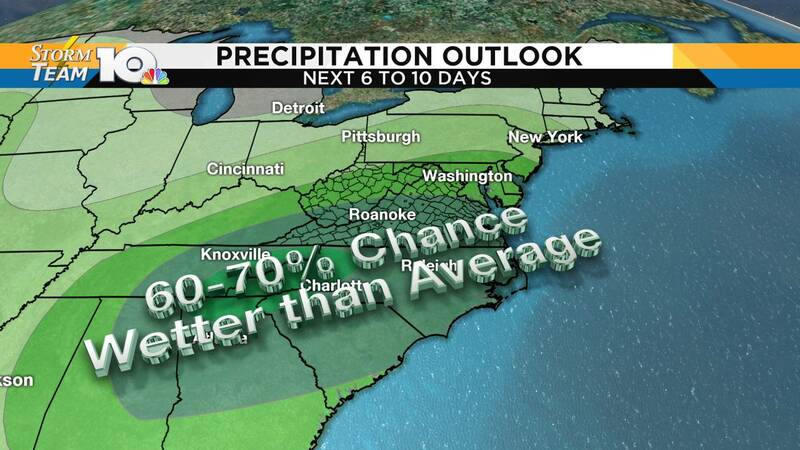 The Climate Prediction Center has our area at 60-70% chance of wetter than average weather next week. 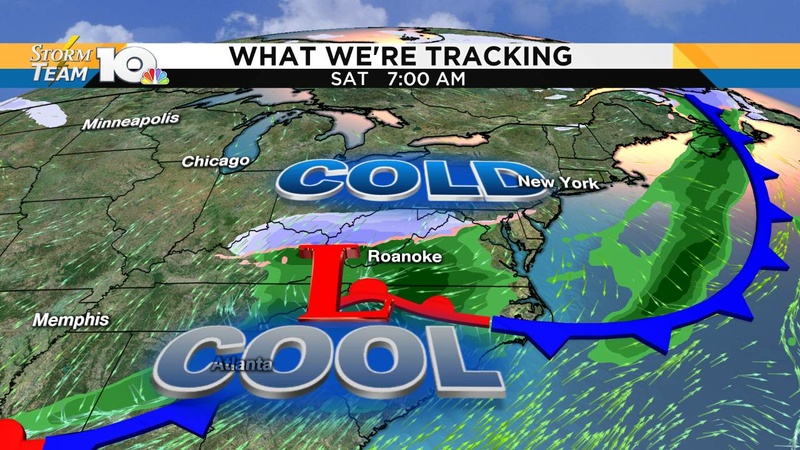 The question then becomes, "How much cold air will there be?" Friday night into Saturday, we'll be watching a storm system developing near the Tennessee River Valley. The amount of cold air looks pretty marginal, making us think that if there's any chance for snow - it'll be north of 460 and closer to I-64. At the moment, this doesn't have the makings of a major winter storm. In fact, most of us may just see a cold rain. 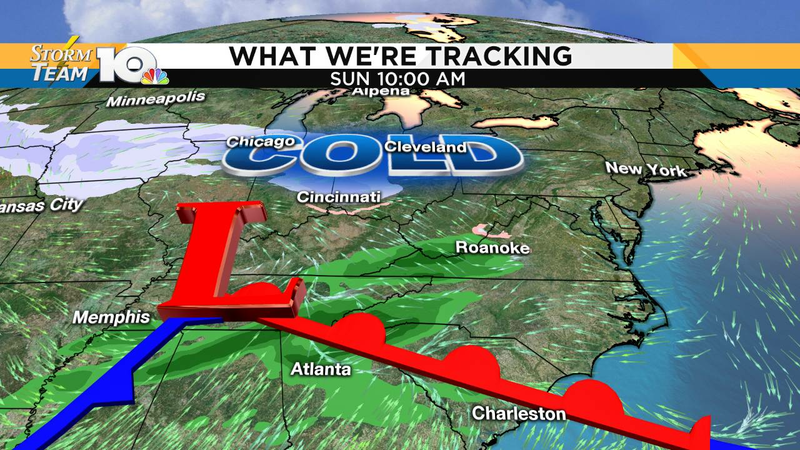 Another storm system develops Sunday. This time, it appears that most of the cold air will be farther north. While a brief wintry mix cannot be ruled out in the Highlands and NRV, this kind of pattern tends to favor a cool rain. 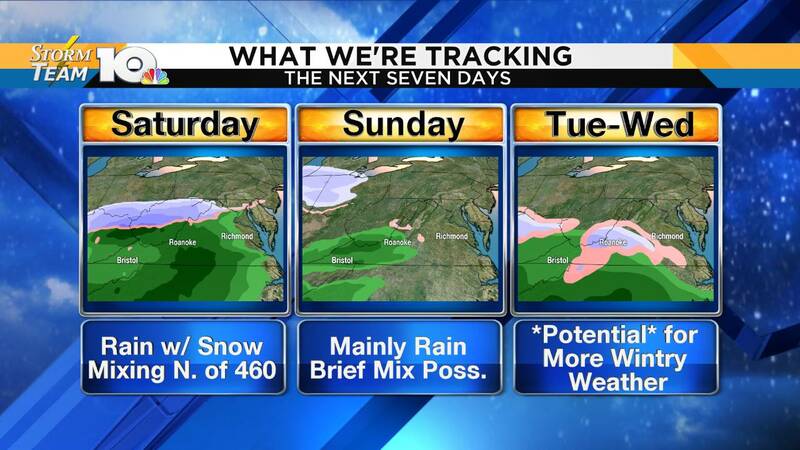 Monday will likely give us a break between systems, before the next storm gets closer. This one has potential to be more impactful. Keyword: potential. As another storm system develops across the southern U.S., we have most forecast data hinting at high pressure being close to New England. That could spell more ice/snow than rain next Tuesday into Wednesday. However, it is far too soon to get into specifics with any level of confidence. With a potential system 6-7 days away, it's important that we recognize the potential but also the limitations that we face when forecasting that far in advance. We're keeping a close eye on this evolving pattern, and will let you know if there is anything to be concerned about. For now, let's enjoy Valentine's Day. We expect temperatures to reach the 60° mark Thursday afternoon!